Detroit Red Wings prospect Lane Zablocki is on the move, but staying within the B.C. Division. Zablocki was dealt to the Kelowna Rockets from the Victoria Royals in a deal Saturday. 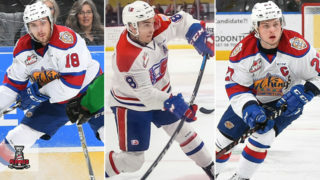 In return the Royals received a conditional seventh-round pick in the 2019 Western Hockey League Bantam Draft and a conditional fourth-round pick in the 2021 WHL Bantam Draft. The 20-year-old Zablocki is a third round selection, 79th overall, of the Red Wings in the 2017 NHL Draft. The 6-foot-0, 182-pound product of Wetaskiwin, Alta. appeared in 65 games last season, split between the Red Deer Rebels, Lethbridge Hurricanes, and Royals, recording 31 points (12G-19A), including three power-play goals and one game-winning goal. 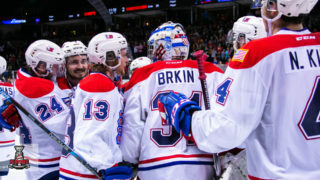 Overall, Zablocki has appeared in 201 WHL regular season games with the Rebels, Hurricanes, Royals, and Regina Pats, totalling 122 points (58G-64A), including 16 power-play goals, one short-handed goal, and six game-winning goals. 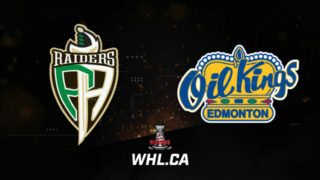 In 28 career WHL Playoff games, Zablocki has recorded 20 points (15G-5A), including seven power-play goals and one game-winning goal. 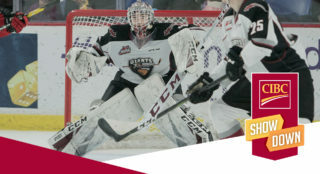 Zablocki was originally selected in the by the Prince George Cougars in the fifth round, 109th overall, of the 2013 WHL Bantam Draft. 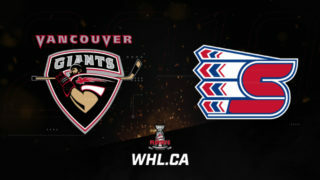 The Royals and Rockets are both in action against B.C. 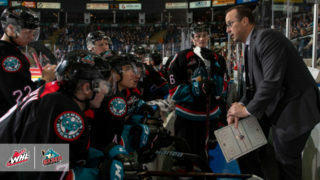 Division opponents Saturday, with the Royals hosting the Kamloops Blazers for a second straight night and the Rockets in northern British Columbia to take on the Prince George Cougars. TRADE: We have acquired a pair of draft picks from the @Kelowna_Rockets for overage F Lane Zablocki.